We know that state health policy can play an important role in improving population health. But where have there been objective improvements in the health of residents? How were those improvements achieved and what are the lessons? In this series of reports, we took a different approach to answering these questions. We started with the end result—the improvement itself—and worked backward to gain a better understanding of how the improvement occurred. Researchers David Jones and Christopher Louis from Boston University School of Public Health analyzed three prominent state health scorecards to identify states that had significant, sustained improvements—verified in several of the scorecards—in one or more key population health outcome measures. We then had them visit the state to find out exactly what happened. 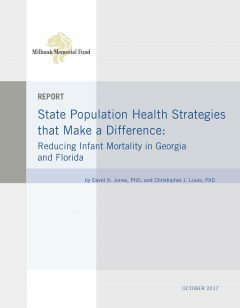 In two companion reports, they show how Georgia and Florida reduced infant mortality rates and how Delaware and Iowa diminished the burden of chronic disease. The insights into how leaders in these states improved population health—presented in the infographic below and in a summary of the project and its findings—are generalizable. The findings transcend the specific issue of infant mortality or chronic disease, describe important roles for the public and private sectors, and can be adapted to other health care issues. 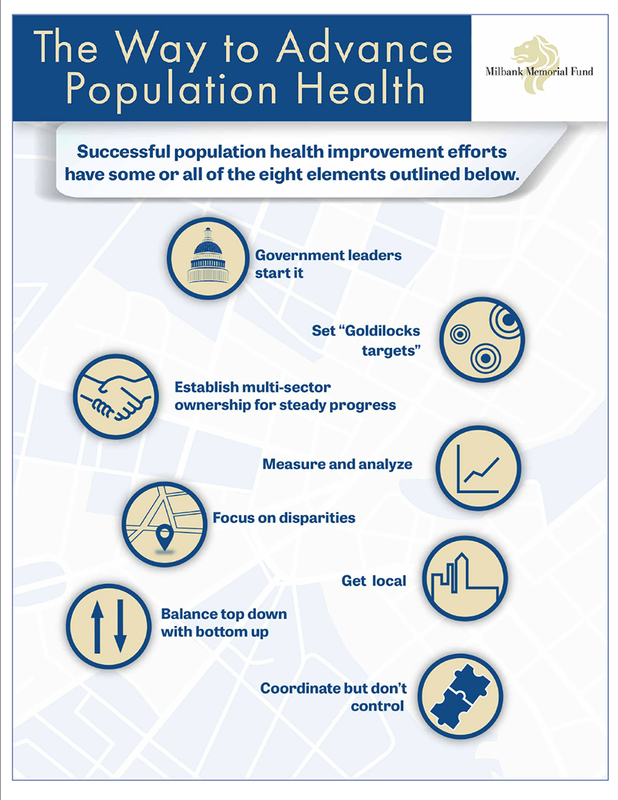 It is the Fund’s hope that anyone interested in improving population health can use these lessons to address population health improvement challenges in their own state.